^ "2008 Leaderboard". France Football. 2 December 2008. Archived from the original on 17 December 2008. Retrieved 17 December 2008. ^ a b Pierrend, José Luis (16 January 2009). 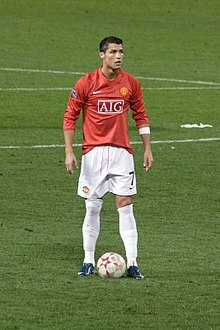 "European Footballer of the Year ("Ballon d'Or") 2008". RSSSF. Retrieved 16 January 2009. This page was last edited on 3 December 2018, at 22:04 (UTC).